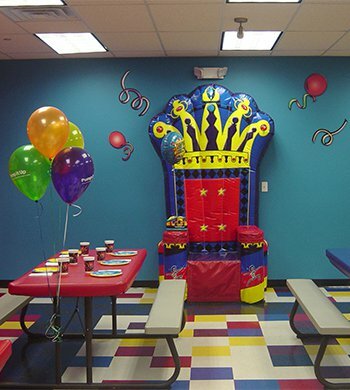 Enjoy your Private Party room after the playtime during your party! The birthday child gets a special inflatable crown and can sit on the birthday throne chair! A combination of a rock wall and a dual-lane VERY steep slide. 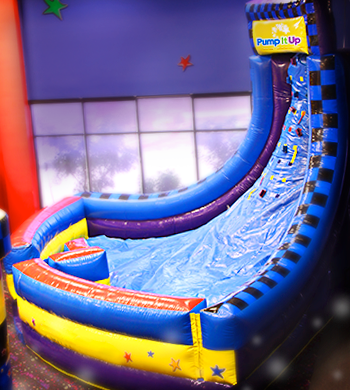 Friends will rush to this ride to see who can make it through first! 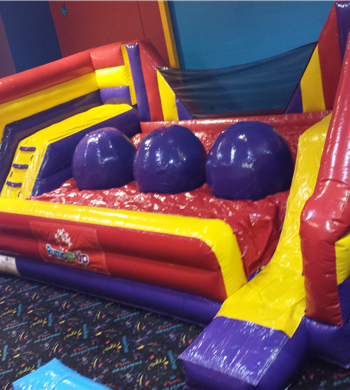 Not recommended for younger kids 3 & under. 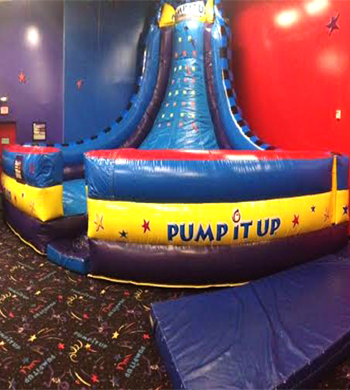 Enjoy our traditional Bouncer with our friends! Ask for the oversized boxing gloves and imagine you are in a boxing match with a friend! Can you make it across? 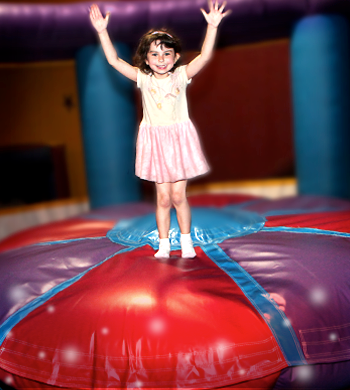 Or will you fall off into a cushion of air? Come try for yourself! 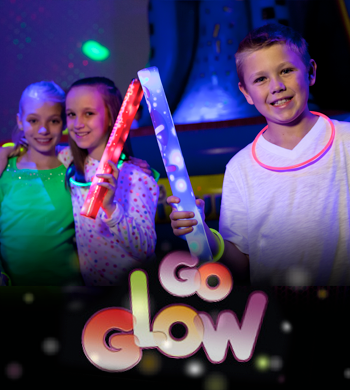 Make any party a GLOW party where we turn down the lights and turn on the glow lights and disco lights! 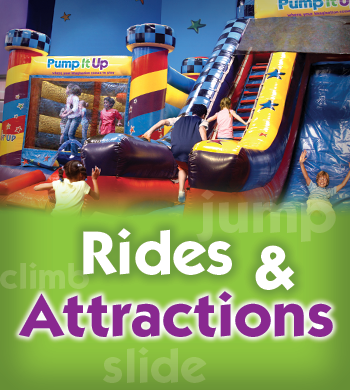 Check our calendar for our Jump 'N Lights Out Open Jump sessions too! 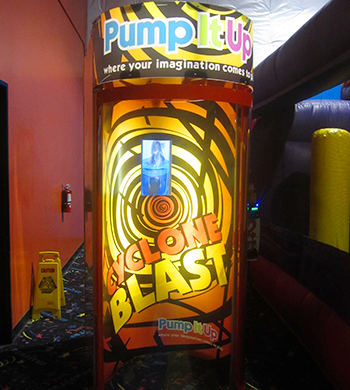 At Pump It Up our play areas are filled with gigantic inflatables where your kids can have hours of fun. 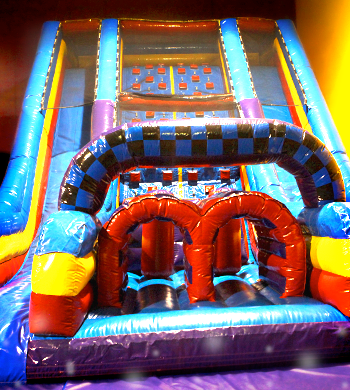 We we wax our GIANT slidedaily for the most slippery inflatable slide action possible! 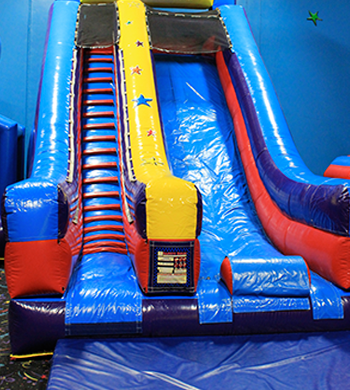 Try this Giant slide that is almost 20 feet high! 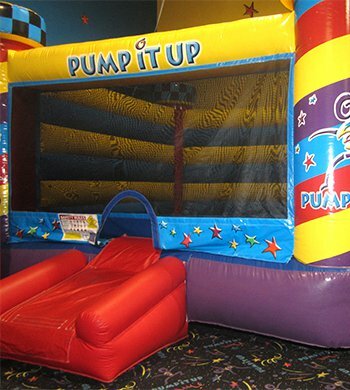 Bounce or Box in the traditional Bounce House! We promise it is always going to be a fun time!